DescriptionThese silver & white round wedding cufflinks are av ailable for all the male members of your wedding party. 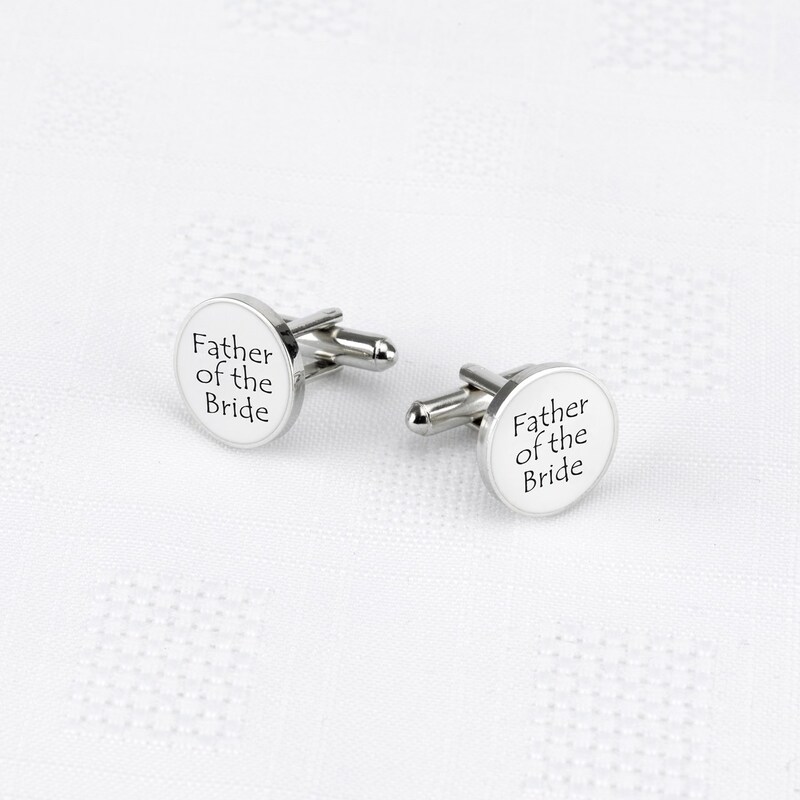 These wedding cufflinks make the perfect gift for all your groomsmen. A gift case is included. These silver & white round wedding cufflinks are available for all the male members of your wedding party. 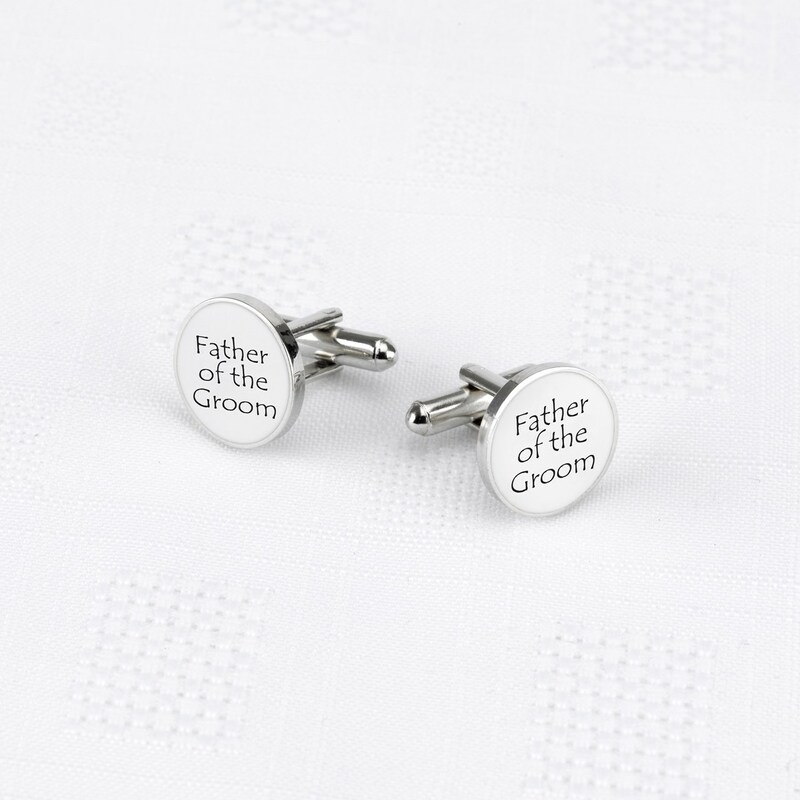 These wedding cufflinks make the perfect gift for all your groomsmen. A gift case is included.